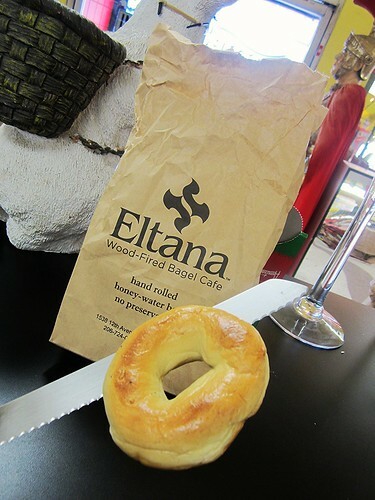 We love delicious bagels and we love our awesome customers, so we’ve teamed up with our new neighbors at the Eltana Wood-Fired Bagel Café on Stone Way for a special March promotion. Starting on Friday March 1st, when you spend $20 at the Archie McPhee store, simply take your receipt from our store over to Eltana Bagels at 3920 Stone Way N. and you’ll receive 6 free bagels! That’s right, $20 worth of awesome Archie McPhee goodies gets you 6 free, scrumptious Eltana bagels. The promotion lasts throughout the month of March. Don’t miss out!